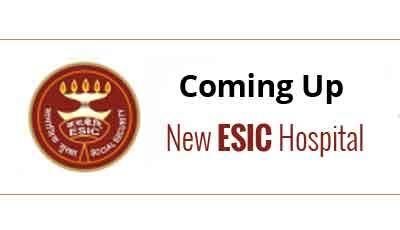 Ahmedabad: Union Minister Bandaru Dattatreya announced to open four new ESIC hospitals having 100 beds each at different locations across Gujarat. These hospitals, having 100 beds each, under the Employees’ State Insurance Corporation (ESIC), will be opened at Valsad, Hazira in Surat, Halol in Panchmahals and at Anand district, the Minister of State for Labour and Employment told reporters. He made the announcement after inaugurating a 100-bedded ESIC hospital at Ankleshwar town in Bharuch district this morning. To provide better health-care services to rural workers, the Minister also announced to upgrade 25 out of total 104 ESIC dispensaries in the state. “We are of the opinion that workers in rural areas should get treatment at their place of work. Thus, we have decided to upgrade 25 out of 104 dispensaries into 6-bedded hospitals in the first phase, for which, we have allocated Rs 150 crore,” Dattatreya said. He emphasised that the Narendra Modi regime is a “pro-worker” and “pro-labour” government. “This government has taken several steps for the betterment of workers, both of organised and unorganised sector. We are a pro-worker and pro-labour government. UPA government never took such steps in their 10 year rule,” he added. Dattatreya also said his ministry is mulling to float a scheme to provide houses to all the labourers in the country. “We are mulling on a proposal to launch a housing scheme for workers. Our aim is to cover each and every worker under this scheme. Apart from houses, we want to provide pension and other benefits, such as scholarships for their children. We have asked each state government to submit their proposals in this regard,” he said. When asked about the action his ministry has taken with regard to the unused funds collected by government from developers as ‘construction cess’, Dattatreya said he has asked all the Chief Ministers to utilise the funds meant for labourers. “As of now, out of total Rs 26,280 crore collected as construction cess across India, only Rs 5,350 crore have been spent for the welfare of construction labourers. I have reviewed this situation and written letters to all the Chief Ministers to do their bit in this regard,” Dattatreya added.